Team India kick started their title defence in style by beating arch-rivals Pakistan in the opening game. In the second game, they lost the plot against Lankan Lions and suffered a loss. The second game meant India would face South Africa in the virtual quarter-final. India not only won comfortably but also cruised into the semi-final. They defeated Proteas by 8 wickets. India outplayed Proteas in every department of the game. Thus making it clear they rightly deserved a semi-final spot. But off the field, Virender Sehwag takes a sly dig. Virat yet again showcased his tremendous chasing abilities. He started slowly and gradually increased the pace hitting boundaries and running quick between the wickets. He scored unbeaten 76 off 101 deliveries. 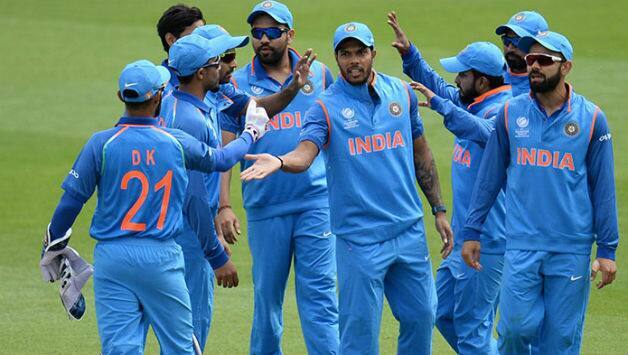 This win meant India likely to face Bangladesh in the semi-final. Virender Sehwag at his best!! Former Indian opener and now a commentator Virender Sehwag also congratulated India on reaching semis. Sehwag tweeted “What a great victory for India. Solid performance. Good luck for the semi-finals and finals.” The thing to be noted in his tweet was he wished good luck even for the finals. That is quite clearly an indirect dig at Bangladesh, who will face India in the semi-final. It looks like Sehwag is very much upbeat about semi-final and 100% sure that India will go past Bangladesh. After a setback against Sri Lanka India recovered pretty quickly. India put up a valiant effort for a comfortable win against South Africa. Bowling and Fielding looked sharp. Bhuvi and Bumrah shared 4 wickets and the latter getting Man of the Match for his impressive bowling. India will take on Bangladesh on 15th June in the semi-final at Edgbaston.